You guys, Thanksgiving is already over! How did this happen? When did it get to be the end of the year already? Insane in the membrane! Although it's crazy that it's already the holiday season, one thing that I always look forward to during Christmas is making lots of holiday cookies. Usually I get to make some with my mom when I go up to Portland for Christmas, and hopefully that will be the case again this year. Now these cookies aren't ones that we make. 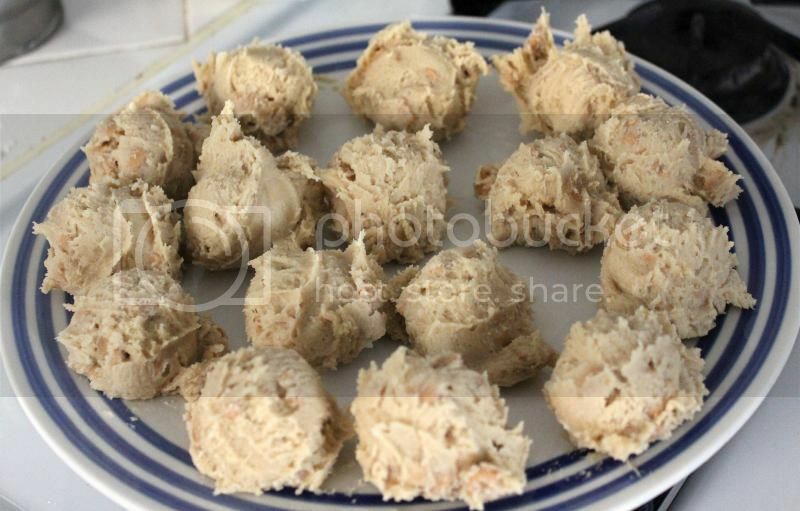 But they reminded me very much of the Peanut Butter Balls that are a huge family tradition. We've been making those since I was a kid, and there's no stopping us. Not in making them, and not in eating them. Because whoa, you have to hide those suckers from my brothers if you want any to last through the actual holiday. Otherwise, you'll open up the container and what do you know, they're all mysteriously gone. But just what about these cookies reminds me so much of those? It's not just the fact that they both have peanut butter, oh no. 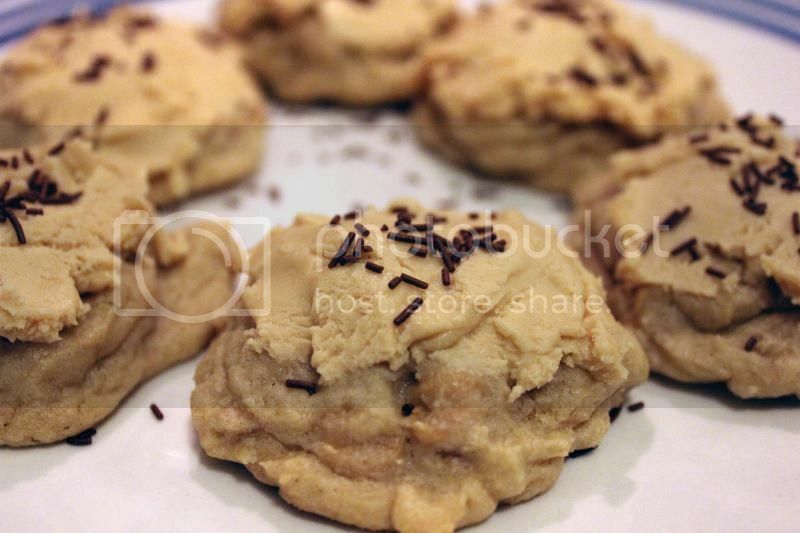 The frosting on these cookies is actually very similar to the base of the peanut butter balls! So you're talking a full-on lofthouse-ish cookie (you know the ones, from the grocery store, that are ultra soft and cakey? Yes, those ones!) PLUS a peanut butter ball-ish combo on top?! Holy cow. 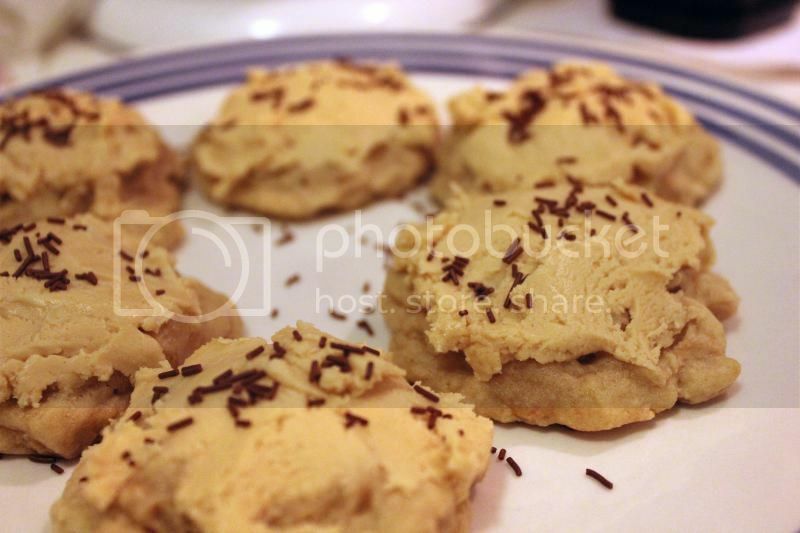 These cookies aren't quite as cakey as the Lofthouse originals, you'll find. They're a bit more dense, more cookie than cake. I also slowed down some of the peanut butter chips than the original recipe calls for. It was a bit too many for my taste. I like to actually enjoy mostly cookie with bits of chips rather than it be a chip explosion, if you will. But you can go crazy with the chips if you want, that's totally up to you. I also reduced the amount of powdered sugar in the frosting. Because, well. Ahem. There may or may NOT have been an incident involving expired cream going into the original frosting mixture. Which turned out to be okay, I suppose, apart from the smell, because it really felt like too much sugar to me. So, there you go. Blessing in curdled cream disguise! Start with your cookies. Cream together your egg, butter, sugar, brown sugar and vanilla for about five minutes on medium-high speed, until light and fluffy. 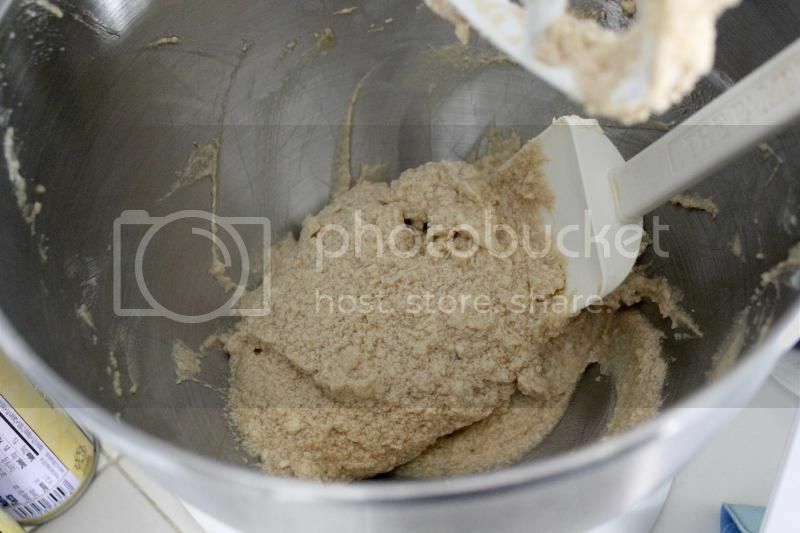 Scrape down the sides of your bowl and add in the flour, cornstarch, baking powder, baking soda, and salt, and mix on low speed for about a minute until just incorporated. Don't overmix that baby. 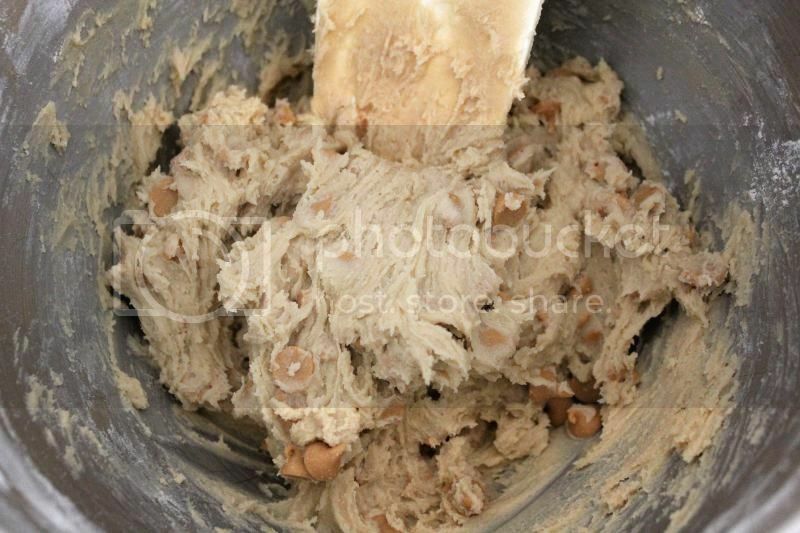 Add the peanut butter chips. I usually do this mixing by hand, but you can still use your mixer on low if that's how you roll. Dough will be kinda sticky. Form two tablespoon sized mounds, and place those on a large plate. Flatten them a bit and cover that with plastic wrap so you can refrigerate it. You'll want to do that for at least three hours, but you can always go longer. Once they're thoroughly cooled out, preheat your oven to 350F. 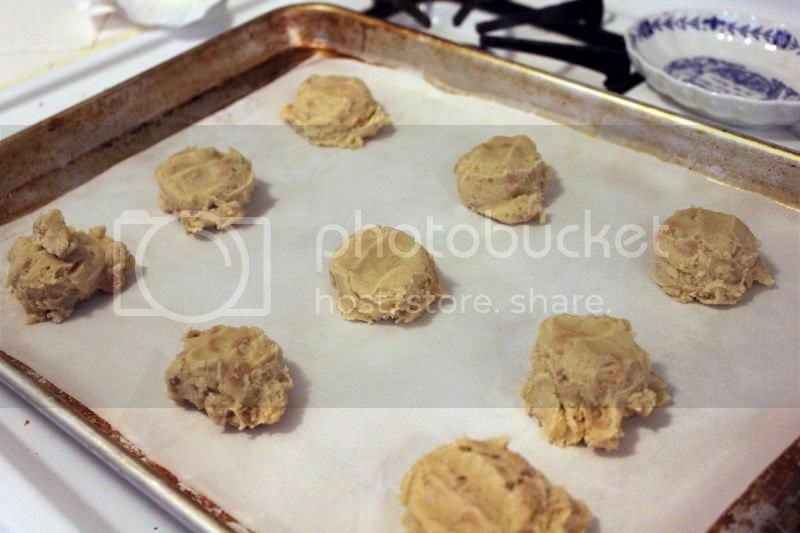 Line your baking sheet with parchment paper and place your cookie mounds on the sheet, spaced about 2 inches apart. 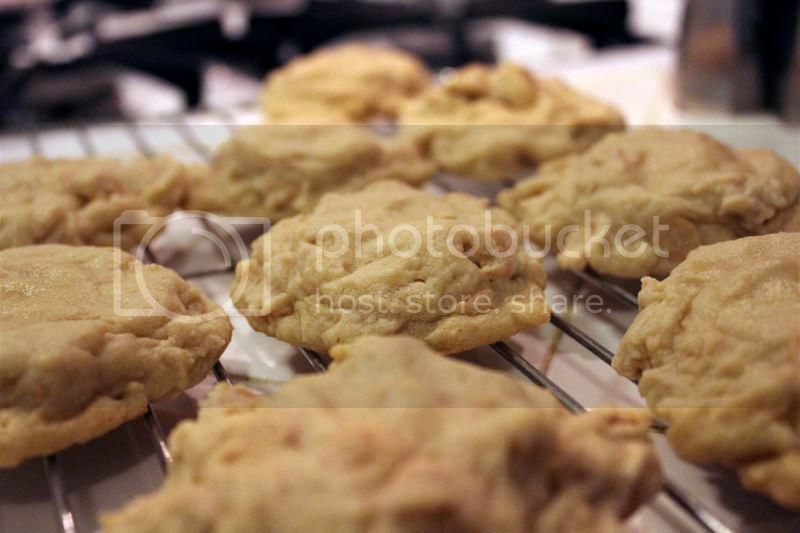 Bake for 8-10 minutes, until the edges have set. The middles may be slightly underdone, but that's okay. Let them sit on the baking sheet for another five minutes to continue cooking, then transfer to a wire rack to cool completely. Now, for the frosting. 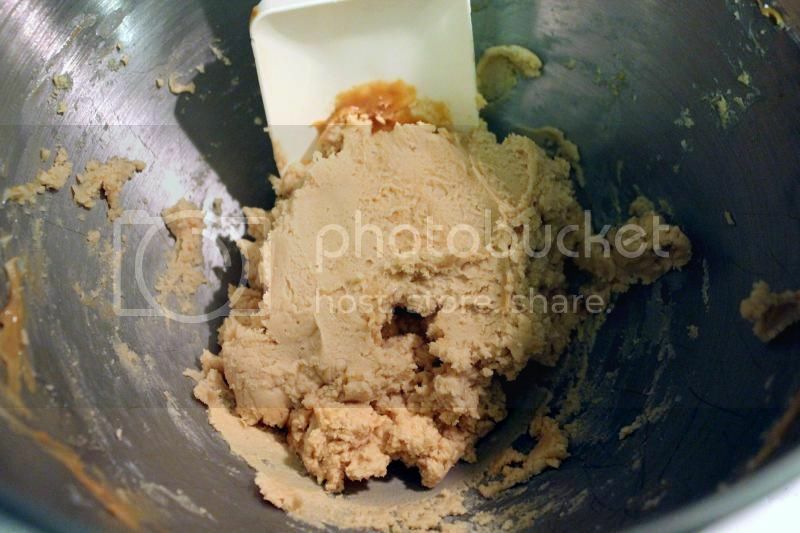 Beat together your peanut butter and butter on medium-high for about three minutes until light and fluffy. Slowly add in your sugar and salt and mix until it comes together all frosting-like. You may need to add a splash or so of cream or milk to get to a good frosting-like consistency. 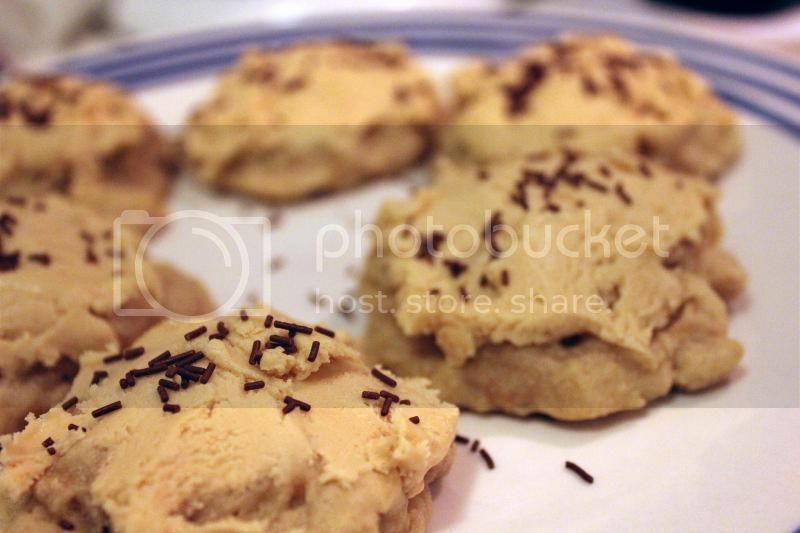 Add a dollop to each cookie and spread 'er around, garnishing with sprinkles after, if you so desire. Beat together your egg, sugars, vanilla and butter for about five minutes until light and fluffy. 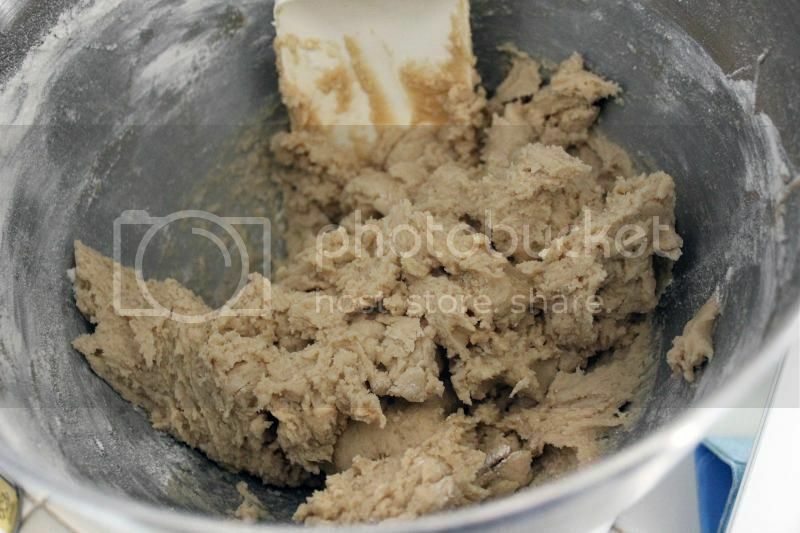 Then beat in your flour, cornstarch, baking powder, baking soda and salt for another minute until just incorporated. No overmixing here! Mix in your peanut butter chips. 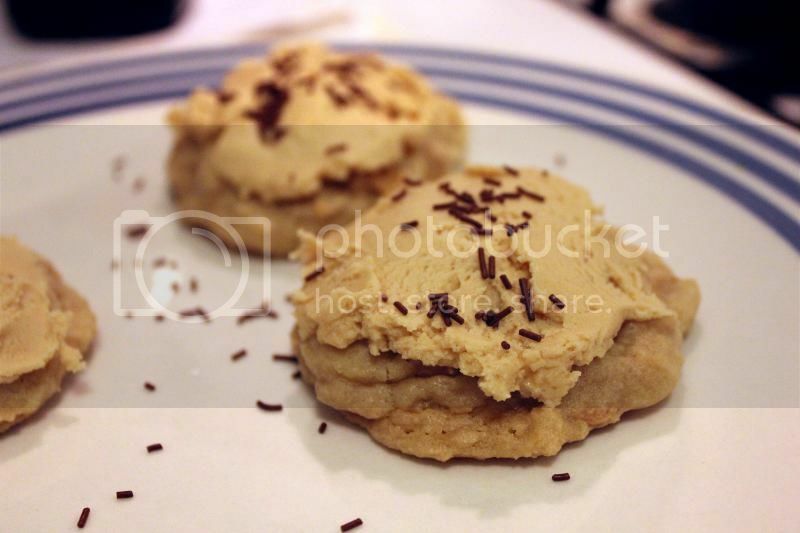 Get yourself some cookie mounds on a plate. Try not to gobble the dough right up. Flatten those down a little, then cover with plastic wrap and put that in the fridge for at least three hours. After at least three hours, preheat your oven to 350F. Get your cookies ready on a parchment-lined sheet. Bake for 8-10 minutes. While those are baking, make your frosting. 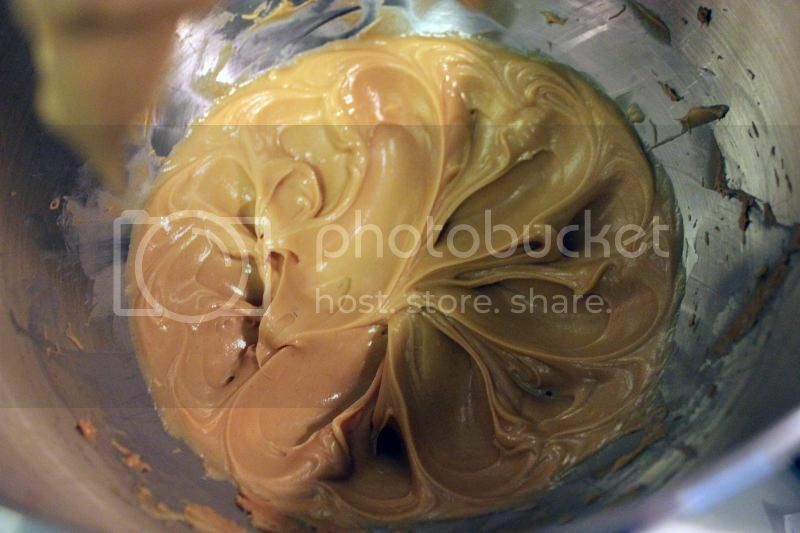 Beat together your peanut butter and butter for a few minutes. Then add in your powdered sugar, salt and cream/milk. Out of the oven. They won't be super browned, and you don't want them to be. Let those babies cool. First on the baking sheet for five minutes, then on a wire rack. Then frost 'em up! Sprinkle time! Eat 'em time! I love those kinds of cookies and so does my husband. We eagerly await the batch his aunt sends at Christmas time.